By default Clarify will only generate ALT tags for step images that you explicitly assign descriptions to. You can tell Clarify to auto-generate ALT tags, however. 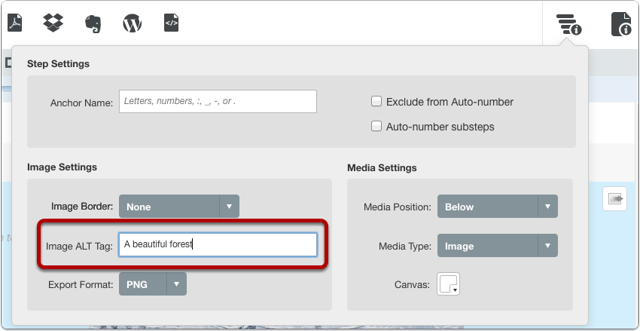 In the step inspector you can add an ALT text for the step image using the Image ALT Tag field. 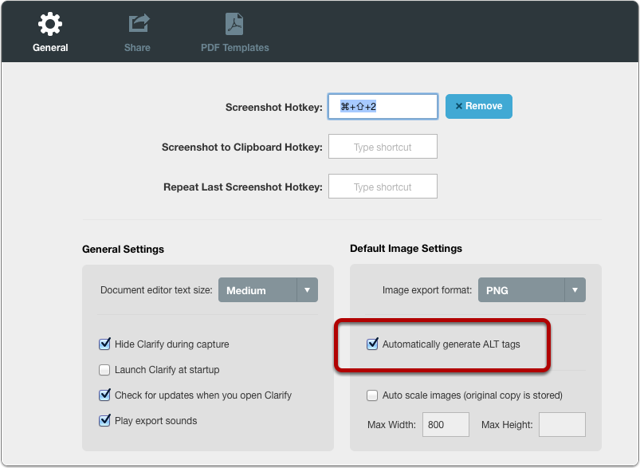 If you would like Clarify to automatically generate ALT tags then go the Clarify preferences General tab and check the Automatically generate ALT tags checkbox. When checked, Clarify will use the step title to generate an ALT tag for step images. Of course, if you have specified ALT text using the step inspector then that text will be used.